When used to replace animal fat, olive oil can help control cholesterol levels, as both the European Union and the US Food and Drug Administration (FDA) have acknowledged. And it now seems that olive oil can do much more than that. 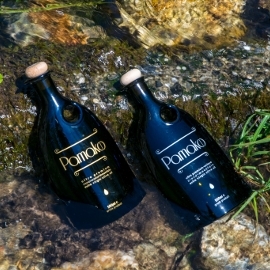 Study results increasingly show that many of the health benefits of olive oil come from its phenolic compounds (polyphenols), which have antimicrobial, antioxidant, and anti-inflammatory properties, meaning they help prevent many serious, common diseases. In 2012 the European Food Safety Authority (EFSA) approved a health claim about olive oil that states, “olive oil polyphenols contribute to the protection of blood lipids from oxidative stress.” As Dr. Prokopios Magiatis explains, this “means protection of LDL cholesterol from oxidation, and consequently protection from heart attack and stroke.” The EFSA limited this claim to olive oils containing “at least 5mg of hydroxytyrosol and its derivatives (e.g. 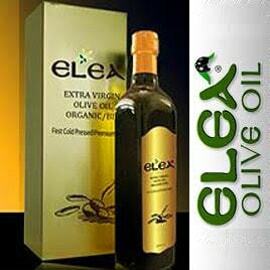 oleuropein complex and tyrosol) per 20mg of olive oil”; this also includes oleacein and oleocanthal. 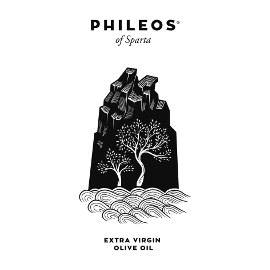 There are more of these polyphenols in some olive oils than others, with early harvest extra virgin olive oils (EVOOs) from certain olive varieties, including some of the most common ones in Greece, having the highest phenolic content and thus the greatest health benefits. Olive oil phenols have killed cancer cells in test tubes, decreased inflammation like ibuprofen does, and inhibited the growth of tumors. No wonder Hippocrates, the ancient Greek physician known as the father of western medicine, called olive oil “the great healer” and prescribed it for more than 60 medical conditions! Some people try to avoid consuming much fat in order to avoid gaining weight. However, when used in moderation olive oil can help us lose weight and maintain a healthy weight, because this healthy fat helps us feel full, making us less likely to overeat or eat again too soon. It also makes nutritious vegetables taste better. There is some debate about whether to consume olive oil raw rather than cooked, so nutrients that can be damaged by heat remain intact, and this may be the best way to get EVOO’s full benefits. However, EVOO may also be the best fat to cook with, because cooking certain vegetables in olive oil increases their polyphenol content and hence their health benefits. 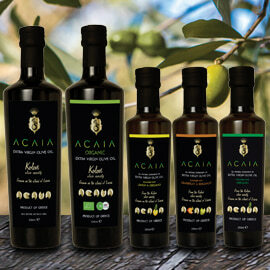 Olive oil also helps us digest and absorb the carotenoids in plants that are considered anti-carcinogenic. Marinating and cooking meat with olive oil is a good idea, as well, thanks to its antioxidants. 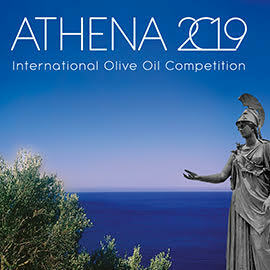 For frequent updates on the latest olive oil and Mediterranean diet health benefit news and information, see Greek Liquid Gold’s Facebook page. Olive Oil Times does a good job of keeping up with most of the latest news about olive oil’s health benefits, as well as summarizing these benefits in a special report. Dietician Mary Flynn also provides a helpful summary of olive oil’s health benefits on her wonderful Food Is Medicine website. 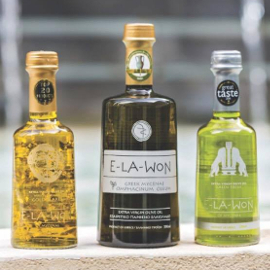 For my most in-depth summary of olive oil's health benefits, see my Greece Is article Superfood: Why Greek Olive Oil is a Food and Medicine in One. The specific articles I consider most useful—the sources for information mentioned above that didn’t come to me directly from experts--are linked below.